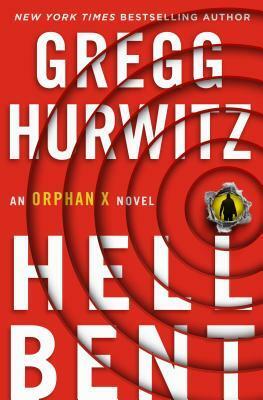 GREGG HURWITZ is the New York Times bestselling author of more than fifteen novels, including The Nowhere Man. His novels have been shortlisted for numerous literary awards, graced top ten lists, and have been published in 30 languages. He is also a New York Times bestselling comic book writer, having penned stories for Marvel (Wolverine, Punisher) and DC (Batman, Penguin). Additionally, he’s written screenplays for or sold spec scripts to many of the major studios (The Book of Henry), and written, developed, and produced television for various networks. Gregg resides in Los Angeles. Noteworthy experiences while reading this book: Nothing to really report with this one folks. Notes and Opinions: Well I have loved this series since the first, book but this one fell a little short for me. It was ok and well paced but it never really felt what I would call real. In this one, I disconnected from the characters and I just never really got sucked into the story. Although the story was strong I think a lot of my issues laid in the dialogue. I will still read the other books as they come out but this one just fell a little flat for me in that respect. I do still fully recommend this series if you love thrillers as they will knock your socks off but this one just left me wanting more. Go Into This One Knowing: Could have been a little better.